Hey Friends! I still have a whole rock and roll styled living room to show you, but today I am getting a little off track to show you a table top that we recently designed and fabricated for a favorite client of ours! 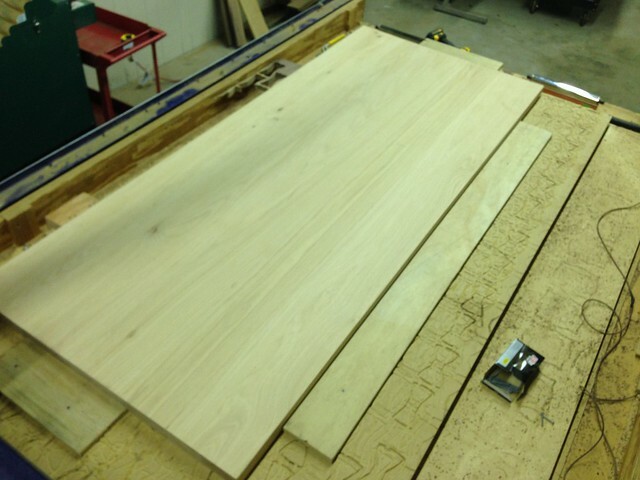 We started with a flat table top made from 2in oak boards. Thanks to our friend Lissa for building this piece for us! 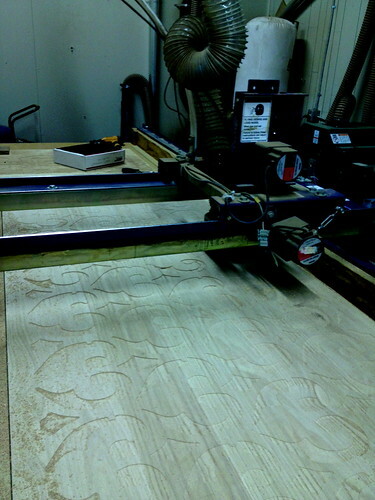 Once the file was created, and the table top was put in place, the CNC began its work of routing out the shapes. 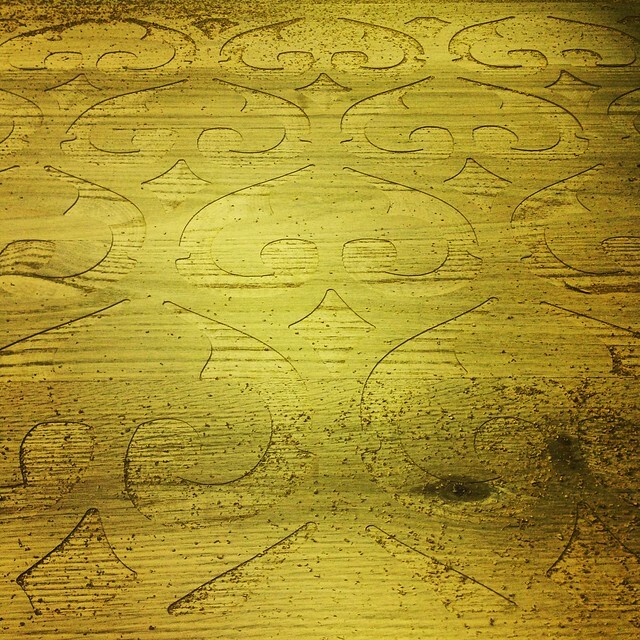 After the CNC had finished it’s work, the table top look like this. 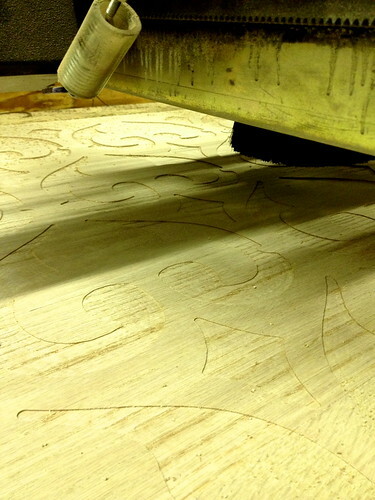 . .
Our next step was to stain and poly the table top. 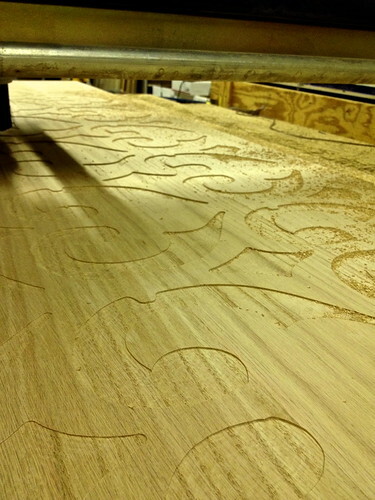 . .
And then came the process of filling the voids created by the CNC. I love the combination of wood and concrete, so we used our favorite concrete product (ARDEX) yet again! We simply used a large putty knife to push the mixture into the recessed shapes. 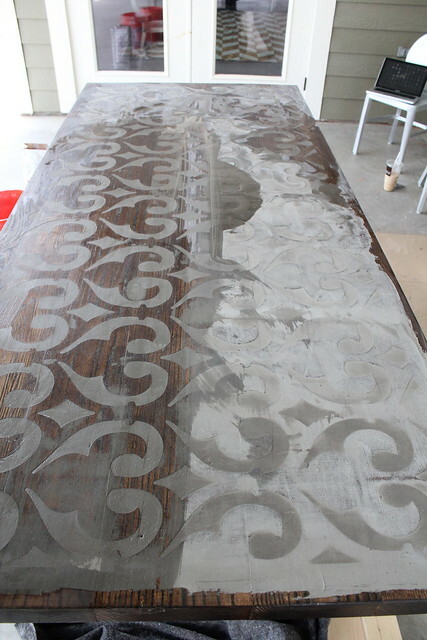 We then used the knife to remove as much excess ARDEX from the top of the table as possible and let it dry. 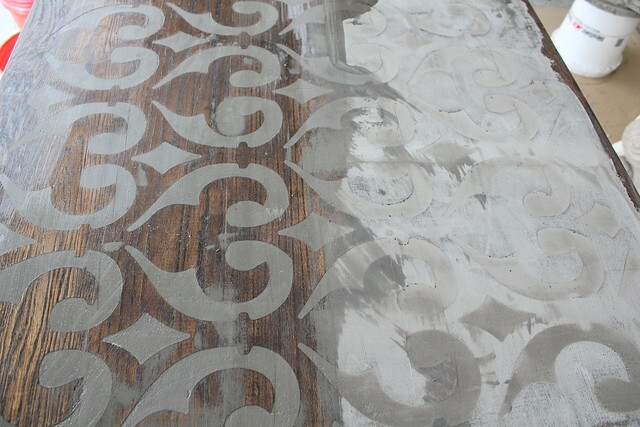 Once the ARDEX was dry, we used a wet rag to remove it from the wood, leaving the ARDEX in the former voids in tact. 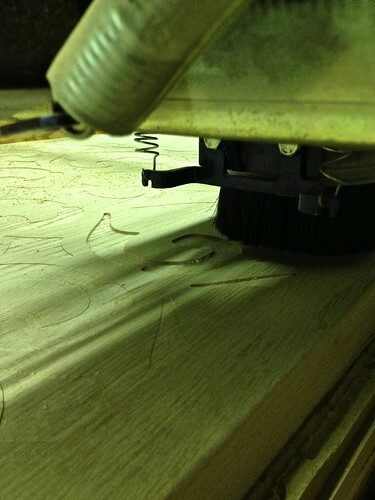 Sealing the wood before the applying the ARDEX kept it from adhering to the wood permanently. 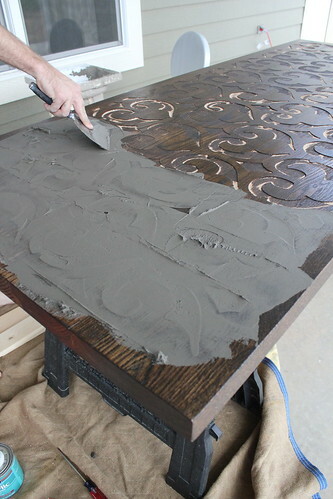 A piece of wood covered in a rag was the easiest way to remove the extra ARDEX and not dig into the “engraved” parts of the table top. Once we finished removing the extra ARDEX and revealed the beautiful oak, we sealed the entire piece with Polyurethane to create a surface suitable for sharing meals and resisting stains! Here’s how it turned out! We love how it turned out and Brenda (our client) did as well! When are clients are happy, we are happy! 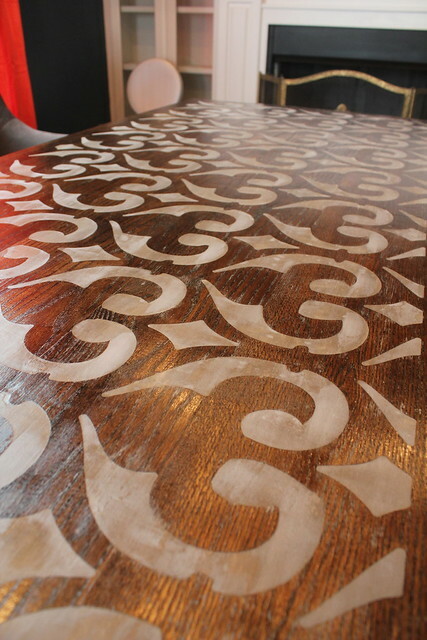 Stay tuned to see what we used as a base to complement this beautiful table top in upcoming posts! Happy Wednesday!!! PS-You can find your local ARDEX distributor right here! 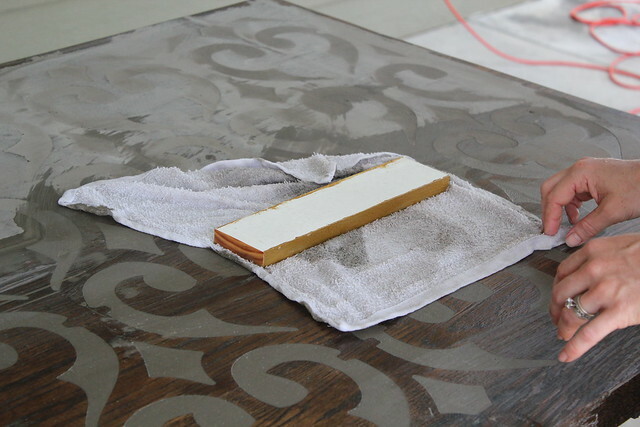 *Disclaimer- We choose to do projects that we believe will enhance homes and be lasting. However, sometimes our applications are not specifically suggested by Ardex. If you are concerned with warranty policies, please refer to the ARDEX Feather Finish technical data sheet for instructions and warranty information. 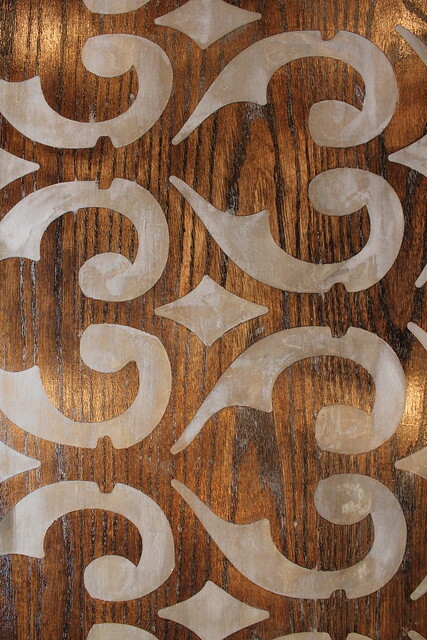 ARDEX only guarantees recommended and approved applications outlined in the ARDEX Feather Finish technical data sheet. For more information, visit www.ardexamericas.com. um i think im in love, this table is amazing. Ahh, thanks Hannah!! 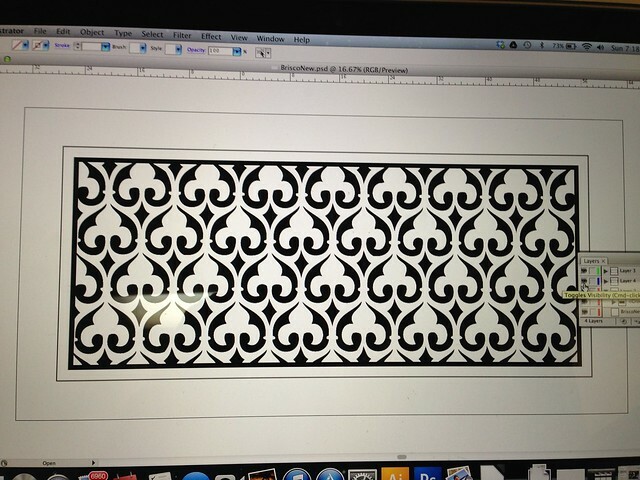 We love doing custom stuff for our clients! one of a kind! 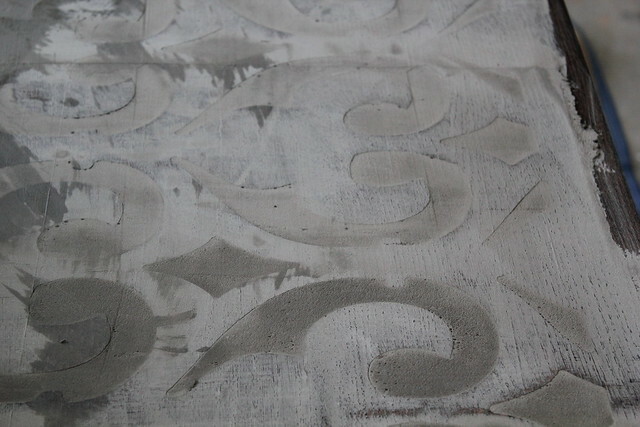 your concrete projects are always stellar. i love the gray concrete with the brown wood. great job! 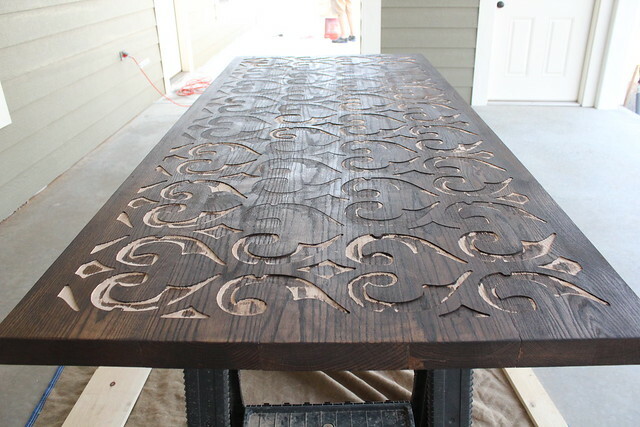 This is an amazing table! Thank you for the excellent instructions. 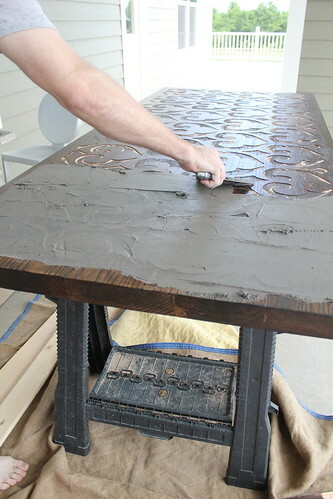 I want this table, I want to do this treatment. Thank you so much! wow!!! so amazing, you two never cease to amaze me with your creativity. seriously, some of the most unique stuff on the internet is on your blog!